At the Law Office of Sean C. Chapman, there are no unimportant cases or clients. We take our responsibility to defend your rights very seriously. That's why we perform our duties with attention to detail and confidence, and vigorously fight to protect our clients' rights at every opportunity. As an individual client, you'll be able to work directly with our attorney, former prosecutor Sean C. Chapman. Mr. Chapman has been practicing law in Arizona since 1988 and will personally represent you and perform the work it takes to prepare your defense. Throughout the case, Mr. Chapman will be available to answer your questions, explain the issues, and make certain you understand your options. He'll also provide you with honest assessments of the case and what's likely to happen based on his experience. With this information in hand, you'll then be able to make the best decisions possible concerning your case as it moves forward. Criminal law charges often affect everyone in the family. Because of that, and if it is what you want — we're open to having your loved ones ask us questions about the case and what's happening with your defense. 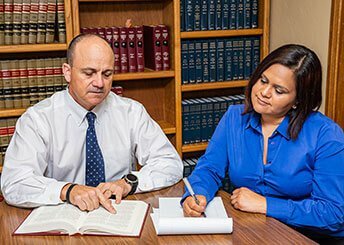 Our criminal law practice covers all of Arizona, including the Phoenix area, and is primarily focused on serious felonies at both the state and federal levels. We represent clients in federal cases throughout the U.S.
No matter how strong or weak the evidence against you — be it a case that involves federal drug trafficking, credit card fraud, or a violent crime — we will do our utmost to achieve the best possible results on your behalf.